I am finding this book I am reading interesting. It’s by a self-avowed Jewish agnostic attempting to live what the Bible teaches. He provides an honest, non judgmental, secular perspective – a viewpoint I haven’t seen for a long time. That’s a dilemma that can only be solved by yielding control not to a religion but the living Christ. He never forces us to do anything, but calls to us in love and leads us gently “Beside the still waters…” (Psalm 23:2). 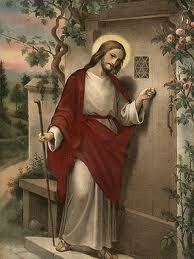 We open the door to Christ, the living Lord, who physically walked out of the tomb and walks into our hearts. He leads us like a good shepherd. Fall in love with Jesus and there is no dilemma.